Now that we are in November, my mind has turned to the upcoming holidays and creating inspiration boards on Pinterest for decorating and baking. 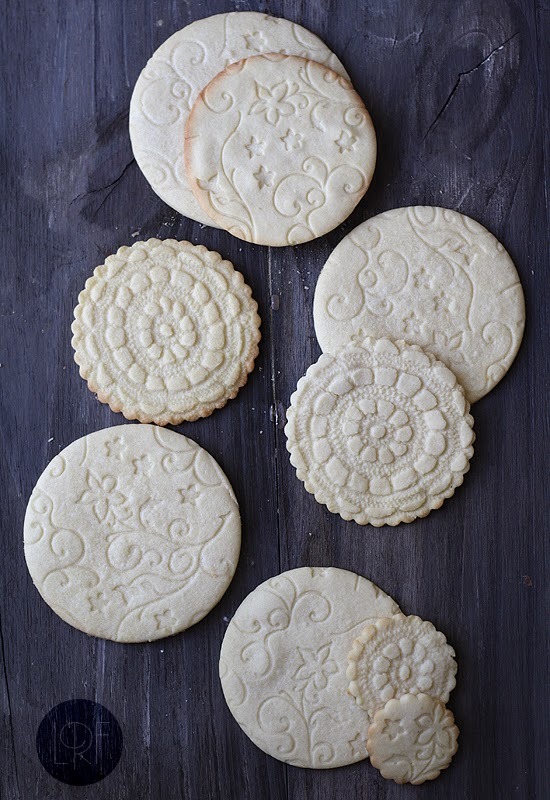 I came across these DIY embossed sugar cookie designs from Sandra Mangas of La Recetas De La Felicidad and love the handmade and artisan look it gives them. 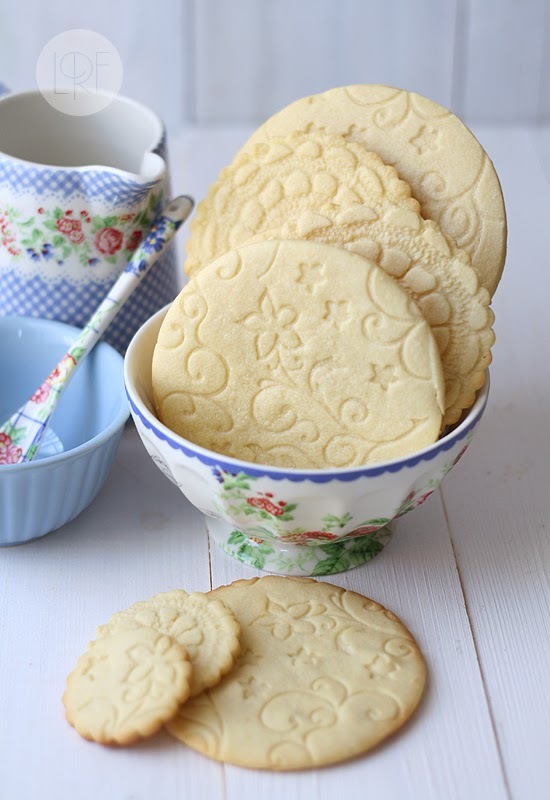 I've always been a fan of cookie stamps and embossing takes cookie design to another level. 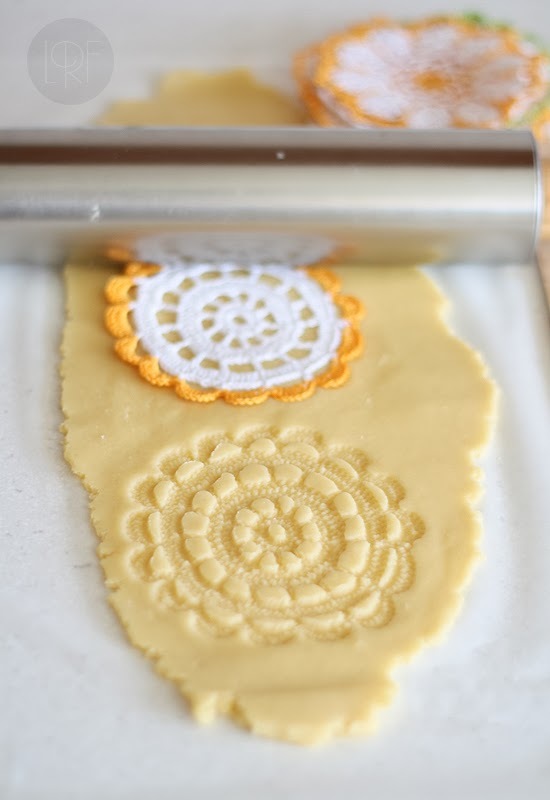 You can be as creative as you'd like ... the crochet doily photo below is a great example. What fun to look around the house and kitchen to see what I might already have to create beautiful patterns! 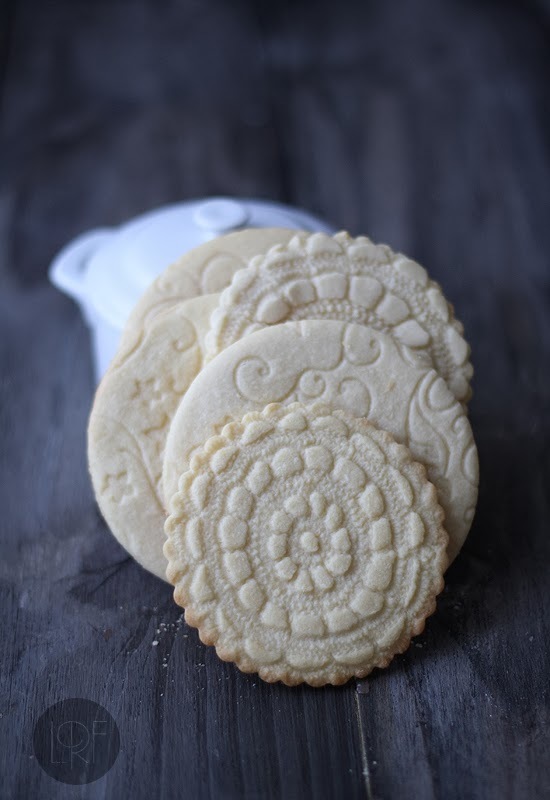 Please take a moment to visit La Recetas De La Felicidad for Sandra's recipe and step-by-step instructions for creating these edible works of art. I think you'll be glad you did! Thank you for inspiring me today Sandra! 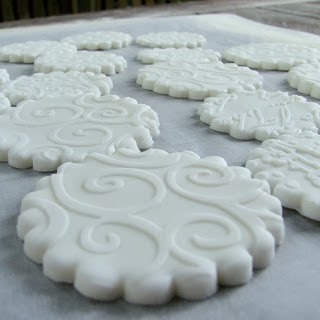 Also, if you want to put embossed icing on your cookies, click here for a great tutorial from Paper Vine.